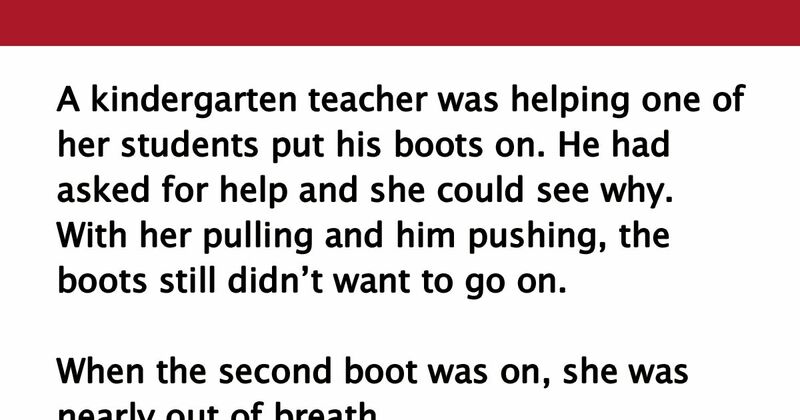 A kindergarten teacher was helping one of her students put his boots on. He had asked for help and she could see why. With her pulling and him pushing, the boots still didn’t want to go on. When the second boot was on, she was nearly out of breath. She looked and sure enough, they were. It wasn’t any easier pulling the boots off than it was putting them on. She managed to keep her cool as they worked together to get the boots back on — this time on the right feet. SHARE this post with your friends if you know this hilarious but exhausting struggle all too well!